Seeing how fast technology is growing, it’s no wonder the e-merchant space has been getting quite competitive. 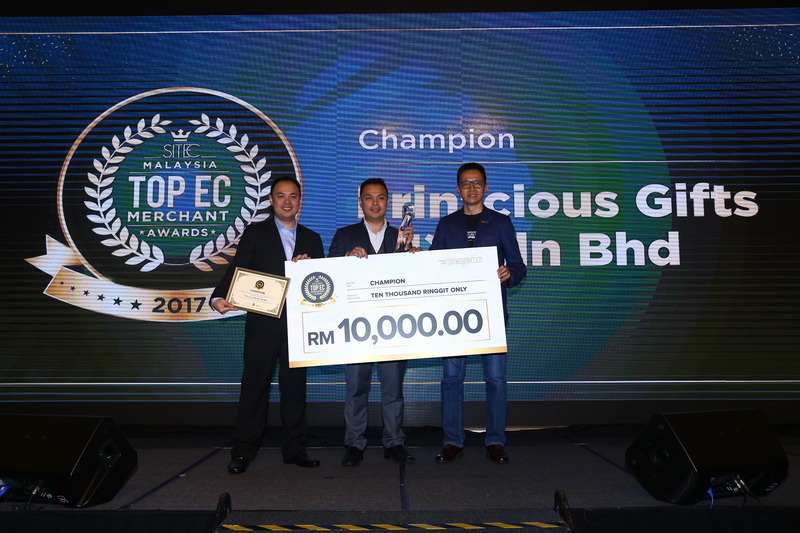 To reward the ones that are the cream of the crop, Selangor Information Technology & Ecommerce Council (SITEC) brought back their Top E-Commerce Merchant (Top ECM) Awards after the success of their first round last year. 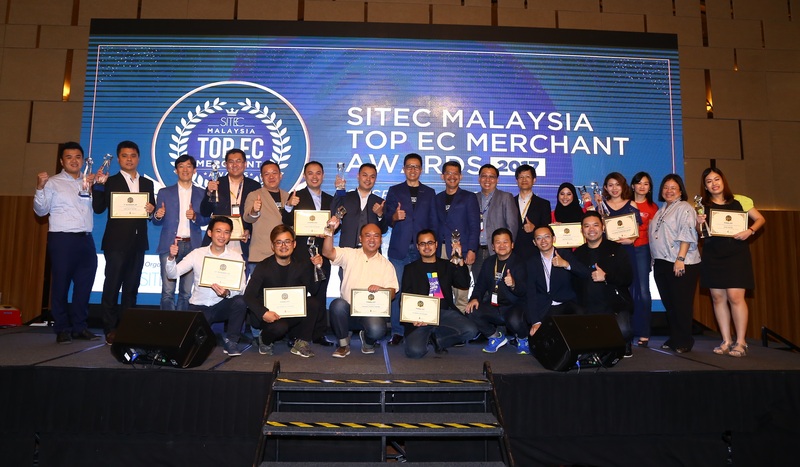 Being one of the first to recognise local e-merchants, SITEC believes this awards event is a great way to reward and encourage excellence in the e-commerce sphere. This year saw a larger competitor pool of merchants, but there was also more participation from the consumer community too. Last year, approximately 80 merchants participation, with little over 30,000 votes. Things have been picking up steam since then, with over 100 merchants registering this year, and a whooping 80,000 online voters took part to vote for their favourite merchants! The companies were judged based on four core areas: their products, the quality of their service, their activity on social media, and the participant’s sales and transaction volumes. The judging was split 50-50 between online voting and through a panel of judges. We wanted to know more about what exactly made these 10 finalists stand out among the 100 applicants and found out these 4 reasons contributed to their success. 1) Giving their website the right feel. When merchants talk about “going online”, it’s not enough to just build a website blindly. Besides the look of it, there has to be more thought behind it to make the online business really successful. Chan Kee Siak from Internet Alliance Malaysia, one of the panel judges, said that this was one of the things he looked out for when judging the list of e-merchants aside from their revenue size. Some of the finalists highlighted that fit this criteria were Sally Fashion (Nexgan Sdn Bhd) and POPLOOK Sdn Bhd. 2) Having a creative way of building their brand. In the realm of the internet, you really have to build your online presence strongly to stand out among the competitors. A good e-merchant is one who knows brand building and understands the right way to do it. Printcious Gifts was one of the examples given by the judges as having this. Adrian Oh from ecinsider, another judge from the panel, said this is a big draw of what makes a successful online business. 3) Having good marketing skills. Because of how easy it is for people to start online businesses, sometimes this obvious skill set goes unnoticed. The judges agreed that although many people easily want to jump on board the e-commerce bandwagon, only the true skilled e-merchants can go far with the right set of marketing skills. They praised the 10 finalists, saying that all of them were good in selling their products in their own way but some stood out more than others. “Printcious and Sally Fashion got a high score in my books because I think aside from providing good service, they both have good marketing skills. You can tell a business will do well if the entrepreneur behind it knows how to market it properly,” said Goh Boon Peng from mystartr.com. 4) Using the right strategy to win the crowd. Since half of the judging results relied on public voting, the merchants had to be creative in gaining the public’s favour. Something that e-merchants have to do on a daily basis anyway, considering their competitive scene. The judges applauded the various methods used by the e-merchants in trying to gather votes from the public. 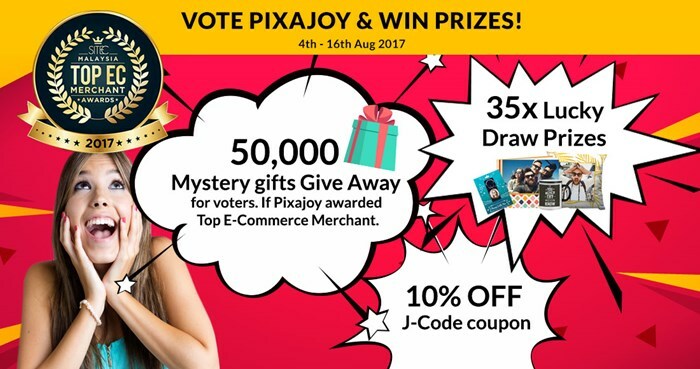 Some of them ran online campaigns such as Pixajoy Sdn Bhd who decided to reward their voters via lucky draw sessions in an effort to show their appreciation to their fans. Ideal Tech PC chose another route. “We made use of our Facebook page by posting about the voting sessions often and encouraging our followers to vote. We also made use of a public figure we knew who helped boost our vote count after he shared the post to his followers,” said Choo from Ideal Tech PC. The e-commerce scene all around. Although the total prize pool of RM25,000 was shared among the top 10 finalists, most of them agreed that part of the reason they had joined this competition was the sense of accomplishment knowing that their business was being acknowledged by Malaysians. “It’s always nice to be recognised for what we are doing in our business. It helps us differentiate ourselves from other competitors in our field too,” said Choo. Vincent from Printcious agreed, saying that it was also a nice experience to get to know other e-commerce players within the scene. “There are many great e-commerce merchants that have been doing great but nobody knows them as they work behind the scenes. There are also many new merchants who don’t have a platform to learn from the more experienced ones. Thus, I think this award is great in terms of advocating Malaysia e-merchants to improve themselves and make e-commerce better here,” said Vincent. All this adds truth to the judges chiming in on how this awards event impacts the local e-commerce scene in its own way. Boon Peng said this is a great initiative to encourage sellers to not just see themselves as traders of the market, but to move forward and start seeing themselves as brands. “You will be surprised at how these merchants take this award seriously and they really spend resources to beef up for the competition, especially in getting their customers and fans to vote for them,” said Adrian. As time goes by and more e-commerce players emerge, it will be interesting to see if more initiatives such as this Top E-merchant Awards will be replicated even further. After all, who doesn’t like feeling appreciated for the hard work they’ve done? This article was written in collaboration with SITEC.